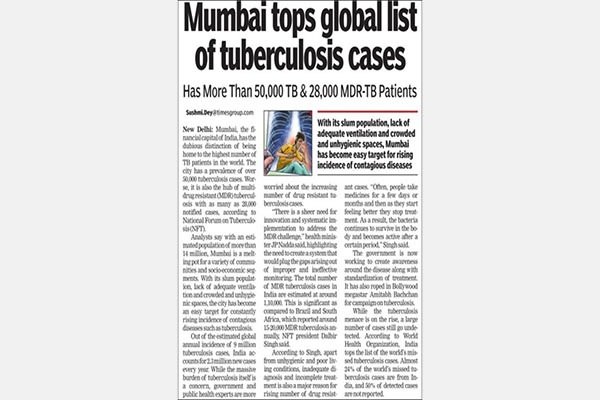 Mr. Uddhav Thackeray, Shiv Sena chief were present at this landmark moment in Mumbai’s public health landscape. 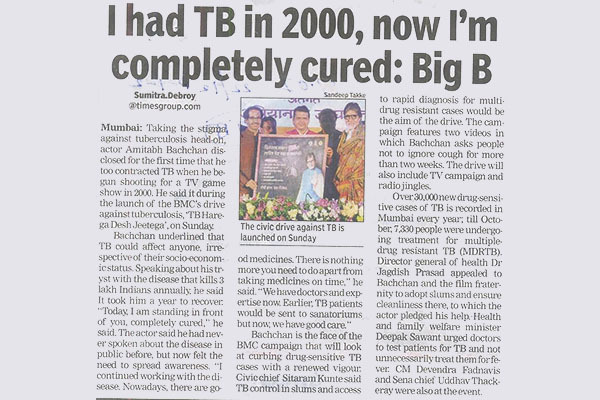 The “TB Harega, Desh Jeetega” campaign features multimedia content to extensively disseminate key messages for TB prevention and control through TV, print, radio, online and outdoor media. 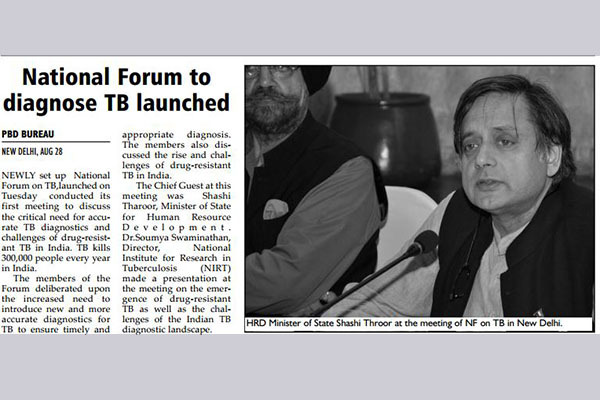 It encapsulates a range of messages on the steps to be undertaken for the prevention, timely diagnosis and treatment of TB. 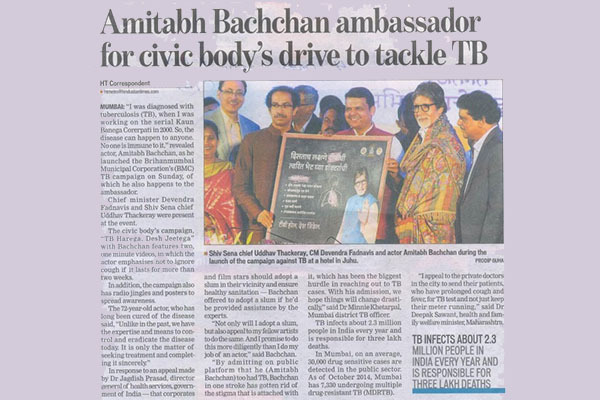 As the face and voice of the campaign, Mr. Bachchan highlights the urgency of tackling one of the biggest public health challenges facing the country.